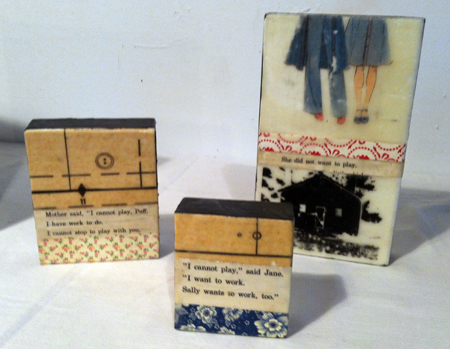 My current series of one-of-a-kind artwork consists of found paper, vintage photographs, and original imagery that I collage using encaustic medium on reclaimed wood. 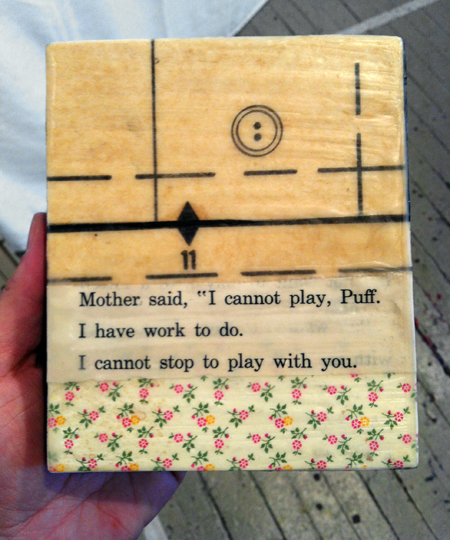 I call it "encaustic mixed-media" for short. 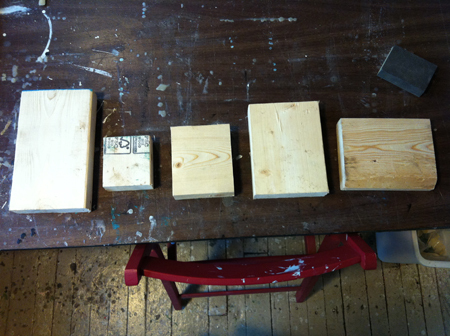 Recently I photo-documented the steps I took to make a few new pieces, starting from the collection of raw wood from a local construction site, all the way to my latest finished work. Process is a huge part of my art, and I delight in sharing a glimpse of it with you. If you'd like to chat about art and see some of my larger works, I'll be presenting several of my paper quilts this Tuesday, May 14th and Tuesday, May 21st at The Liberty Hotel as their May featured Gallery Night artist, 6-8:30pm. Art is everywhere in Boston. Keep your eyes open and you'll find it. 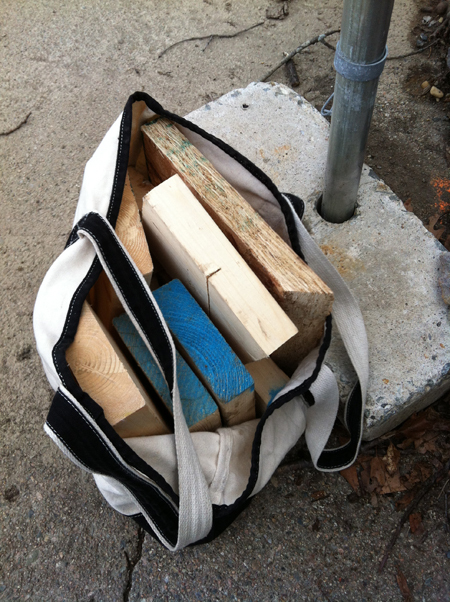 Big bag of wood scraps from a local construction site in Jamaica Plain. Sanding the wood in my South End studio. 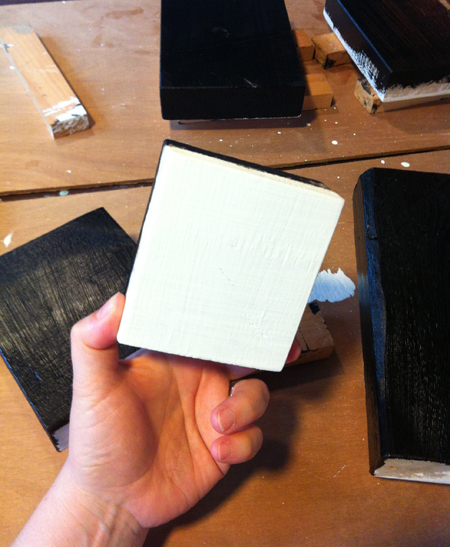 Preparing the wood canvases with acrylic. 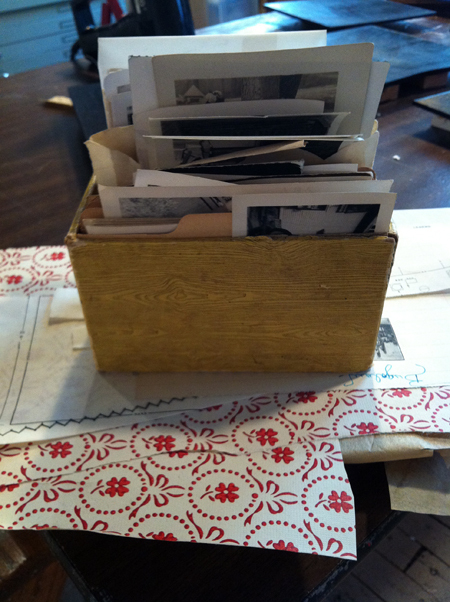 Sorting through piles of ephemera to decide what elements come together to tell my story. A few brand new finished pieces that will be on view and ready to go home with you at the Beacon Hill Art Walk, on June 2nd.